A review of The Hundies e-liquid line from Flawless Vape Shop. Based out of California, The Hundies is available in 100ml bottles in 3mg of nicotine. 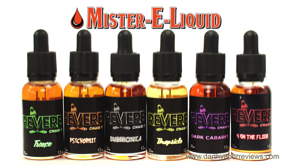 A review of the Reverb e-liquid line by Mister E-Liquid. Reverb. Reverb e-liquid is mixed with only the finest USA-sourced base ingredients: 100% USP Food Grade vegetable glycerin (VG) and propylene glycol (PG); which..
A review of the Cola Man by Shijin Vapor. This 70VG/30PG line is handcrafted in an ISO 8 certified cleanroom facility. They are available in 60ml Chubby Gorilla bottles in 0, 3 and 6 milligrams of nicotine. 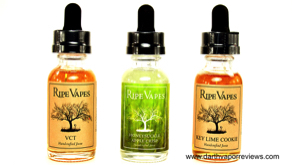 A review of the Kohiba tobacco e-liquid line. Based out of California, Kohiba is a tobacco aficionado's dessert. 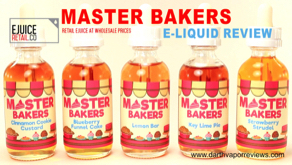 These 70VG/30PG blends are available in 120ml bottles in 3 nicotine levels. A review of the Taffy King e-liquid line. Based out of California, Taffy King is a Max VG line available in 120ml bottles in 3mg of nicotine. 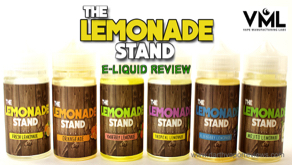 A review of the Slushy King e-liquid line by King E-Liquids. After the Taffy King line became a huge hit, they have now released the Slushy King line. This Max VG line is available in 120ml bottles in three nicotine levels.